Kate Kennedy is welcomed by the Heyler Realty team as a sales professional specializing in the Westside of Los Angeles. Kate has developed the professional acumen specifically designed to advocate on the behalf of her real estate clientele. Living in Santa Monica, Kate appreciates first hand how special it is to live by the sea, and is committed to helping her clients find their own perfect place in the sun. Having been raised the daughter of a lobsterman, Kate learned early on what “hard work” truly means. Coupling her inherited strong work ethic with her entrepreneurial spirit, Kate decided to break out on her own and leave the snowy Maine coast bound for the sunny shores of California. To say there was a bit of culture shock was an understatement, but Kate is the type of a person that likes to make big bold moves, and embracing this challenge was no different. It didn’t take long before Kate had settled herself in Santa Monica, finding the small town feel familiar and comforting- even if the ocean was on the “wrong” side. Once she established her new home, Kate quickly went to work building her business, “Kate K My Way.” For well over a decade, Kate has been running her exclusive personal assistant business which was built entirely from client referrals. Kate’s desire to help people and make a difference on a personal level is what made her stand out among the masses. Her no-nonsense East Coast practicality is what helped her to get the job done, and done correctly. Kate employs these same principles to her work as a Realtor. 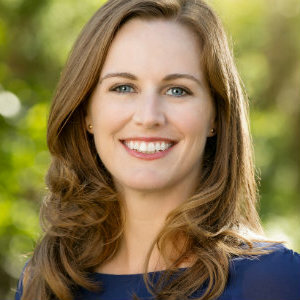 Living in Santa Monica and proudly serving her community as a Board Member of the Ocean Park Association, Kate appreciates first hand how special it is to live by the sea, and is committed to helping her clients find their own perfect place in the sun. Her commitment to her clients is unwavering. Kate’s communication skills, attention to detail and ability to focus on the big picture help to ensure easy transactions and positive results for her clients. Above all Kate prides herself on her honesty, integrity and ability to bring good humor to all of her business dealings. Kate and her husband, Steve, live in the Ocean Park neighborhood of Santa Monica, and enjoy taking full advantage of all that west coast seaside living has to offer. As cheesy as it may sound, Kate really DOES love long walks on the beach, but you will have to get up very early in the morning to catch her down by Tower 26. Kate’s other interests include cooking for friends, attending local theatre, gardening, and reading science fiction and Stephen King novels. Courtesy of Heyler Realty, Kate Kennedy - CA DRE#01968024 Selling Office: Trimax Realty, Inc.. Courtesy of Heyler Realty, Kate Kennedy - CA DRE#01968024 Selling Office: Keller Williams-Santa Monica.